Down on the southwestern cost of Florida sits one of the Sunshine State's most precious gems: Sarasota. This little coastal city has a population of just over 50,000 people but attracts many more visitors each and every year with its beautiful beaches, warm weather, fascinating nearby keys, and rich array of wildlife. Sarasota is a real sporting city, boasting great locations for golf, fishing, swimming, sailing, and kayaking. The warm waters of Florida offer unbeatable kayaking opportunities in general and Sarasota is one of the state's most popular kayaking spots due to its beautiful bay, fantastic harbor, stunning island keys, and diverse wildlife. There's a lot to see in Sarasota and the area is quickly becoming one of America's premier destinations for eco-tourists. With manatees, dolphins, countless species of birds, and much more wonderful wildlife just waiting to be discovered, kayaking in Sarasota is an exciting experience that is sure to provide some lifelong memories. Boasting a guided eco tour that was actually voted the very best kayak tour in all of Sarasota, I Kayak Sarasota provides a warm welcome to all kayak enthusiasts, no matter your age or ability level. This company runs kayak and paddleboard rentals every single day of the week and runs a few different tours each day, including manatee and dolphin watching tours as well as mangrove tunnel exploration tours. A guided kayaking sunset tour is also available and each one of these trips offers excellent value and big chances to encounter all sorts of native wildlife. As the name of this company suggests, Sea Life Kayak focuses on the marine life all around Sarasota. Manatees have made this spot their home and can often be found floating around the mangroves. The trained, experience Sea Life kayak guides know all the best spots for spotting manatees and other Floridian animals and will do their level best to help you enjoy some close encounters with these gentle sea cows and more on your own low-price kayak trip. Award a TripAdvisor Certificate of Excellence, Sea Life is one of the most trusted companies in Sarasota. Explore Sarasota, Siesta Key, the Myakka River, and more on the incredible guided kayak tours from Adventure Kayak Outfitters. Equipped with only the best kayaks and gear, this company will guide you out to some of Sarasota's most picturesque and little-known spots for the best chances of meeting some local wildlife like dolphins, manatees, birds, and more. Glide through the mangrove tunnels and take in the terrific surroundings like never before on these simply awesome kayak tours, all led by native Florida guides who know more about the area than almost anyone else. Take in the beauty of Sarasota Bay with Island Style Watersports. This company has been running water-based lessons and activities since the 1980s, so they have more experience with Sarasota's waters than most competitors. At Island Style Watersports, you're the boss; you can either rent a kayak and follow the planned-out routes and guides to enjoy kayaking adventures at your own pace, or sign up for a guided tour with a master naturalist who will inform, excite, entertain, and educate you with fascinating information about Sarasota's indigenous flora and fauna. Last but not least, we have Biotica Ecotours. Focusing on the wildlife of Sarasota, these tours are led by passionate, friendly guides who really know their stuff. In addition, each tour is limited to small groups only in order to preserve a sense of intimacy and avoid disturbing the natural environments and ecosystems. 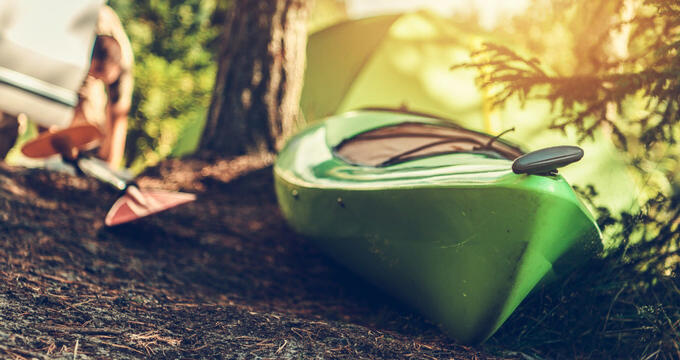 With years of experience and a scientific-level of knowledge about Sarasota's flora and fauna, these are some of the most educational kayaking tours in all of Florida. Tours can also be customized to suit every kayakers.